We are a small yet dynamic design and advertising agency based in Montague Gardens, Cape Town, servicing clients as far as Canada, the US and Europe, and constantly expanding our client base to new international territories. Driven by curiosity and industrial strength coffee, we’re always fishing for new ideas and reeling in the big fish for our valued clients. Good design and creativity are our middle names (our mothers clearly had strange ideas about family names), and we’re all about finding “the big idea”. When we’re not building killer websites, designing show-stopping brochures, laying out annual reports and thinking up creative concepts, we’re reminiscing about old school rock and asking Google about life, love and the best place to buy koeksisters in Cape Town. Making observations and drawing conclusions is what we do best, and our goal is simple: To solve your brand-related headaches through strategic thinking and creative executions, and ultimately reinstating Pluto as a planet. Fish use a variety of low-pitched sounds to convey messages to each other. They moan, grunt, croak, boom, hiss, whistle, creak, shriek and wail. Kind of like our designers on a Monday morning. The Fisher Agency is everything you’d expect of a well-established design and advertising agency, with a host of special and secret ingredients added to the mix. Our entire belief system is rooted in honesty, integrity and transparency, and good quality bricks and cement of course. We’re so open and honest, we find it hard to keep quiet about bad ideas, bad hair days and the ending of Dexter. We believe in working with our clients rather than for them, because when you work as hard as we do, you’ll grab any opportunity to make new friends – even with your stapler. Observing is a large part of what we do – observing the environment, observing the target market and observing the fact that we’re saying “observing” a lot today. And don’t even get us started on spelling mistakes – especially those on menus. Pina colaha, anyone? Never stop learning – that’s our motto. Learning from each other, learning from clients, learning from your mom when she says “don’t mix red socks in with your whites”. We try hard without being try-hards, and push the envelope without being pushy. We’re nice and normal but there’s nothing normal about the way we think. Our brains are fuelled by good coffee, dark chocolate and good wine – and at the end of the day every brainstorm becomes a beautiful thing. Jonathan is not your average Marketing Joe. He obtained his first design diploma at the Damelin in Pretoria, and went on to add a Communications Degree (UNISA) and a Certificate in Finance (UCT) to his name, to name but a few… and that’s just the tip of the iceberg. Recognising his impressive strategic skills and potential, Triple CCC Advertising (later rebranded to Blackmoon in 2004) snatched him up fresh out of university in 2000 – and within the short space of 2 years he was promoted to studio manager. In 2006 he bought out 75% of Blackmoon along with two of his creative sidekicks, quadrupling the turnover in 4 years. Also, Jonathan doesn’t trust a person who drives with a hat, so bear that in mind next time you drive by the office. Carin is one of those “never say never” designers, known for creating magic and her love of pretty things. She first obtained her Masters in Information Design at the University of Pretoria, and went on to add various photography certificates to her resume. She landed her first job in 2002 at Triple CCC Advertising, during which time she created works of genius, placing as a finalist in both the 2004 Proudly SA Awards and Innovation Awards. From there she moved to Lamberts Krethszchmach in 2006, working as part of the team that won the Sappi Ideas that Matter competition in 2007. 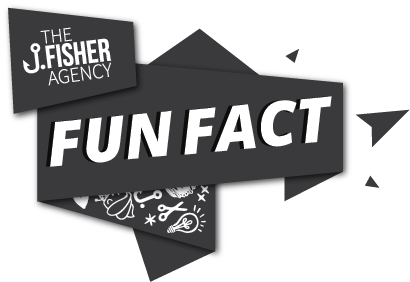 In 2008 she decided to spread her wings and start her own agency known as Fishpond Studio, before finally joining forces with Jonathan to launch The Fisher Agency. With over a decade’s experience in digital, design, strategic thinking and marketing, digital maverick Matt has blazed trails in virtually every industry and sector under the sun. From publishing, retail and e-commerce, to digital development, multimedia production and more – in fact, there’s very little he cannot do… except maybe for staying away from other people’s dogs. Over the years he’s worked on a number of highly reputable local and international brands. His résumé boasts titles like senior digital designer and creative director, and in 2017 he was appointed as the Head of Design at one of South Africa’s biggest e-commerce companies, Takealot. When asked where he’d live if he could live anywhere in the world, Matt answered Ōkunoshima (Google it) and, unlike most of us, actually took the time to find the little stripy O amidst the sea of symbols. This is a testament to his perseverance, incredibly fine eye for detail, and the fact that he knows his O’s from his Ō’s. Anne-Rika is one of those rare creatures who’s literally a born creative, and somehow she’s always the epitome of “chill” – we attribute this to her bunnies, because you can’t be stressed when you’re holding a rabbit, right? Her strategic skills are something to behold, and even things like “where should we grab coffee?” and “how should we ‘gram this donut?” is treated with strategic ingenuity. After finishing her BA in Visual Communications at AAA School of Advertising, she took up an intern position at the Virgin Active Head Office and was later appointed as art director. After 2 years she moved to Go2Africa where she worked as a front-end web developer, before joining the Fisher Agency in 2014. From starting out as graphic designer, to working her way up to senior designer, studio manager and client liaison – don’t be fooled, she’s the complete creative all-rounder. Dewald is as adventurous as he is calm, cool and collected. Better known as our “chill… oke”, not even the toughest client or tightest deadline can rattle this guy. Dewald first started his design career in 2012, studying Visual Communication and Design at Prestige Academy, before joining MUDL Magazine/Kreate Brands after a successful internship. Driven by a need to develop his creative skills, he’s as passionate about creativity as he is about Oreos and chocolate milkshake. Since joining The Fisher Agency in 2016, he’s had to start sharing his ideas, brilliance and Oreos with us, so needless to say we like having him around. Louwna is our resident “pink flamingo” – a real sweetie pie with an infectious enthusiasm for life and an aversion to non-alcoholic gin (which might explain some of that chirpiness… hmmm). After obtaining her BA Graphic Design from the North-West University in Potchefstroom, Louwna trekked down to Cape Town – sure, it’s no Greece, but certainly a close second or third on her list of places to live. After a stint as Junior Designer at Matt Advertising, she hopped, skipped and jumped over to the Fisher Agency, where she’s been designing her heart out ever since. As she so often reminds us, “when you can’t find the sunshine, BE the sunshine”, and we must admit that it’s almost impossible to imagine a studio sans a bit of Louwna-shine. Then again, a warning to all: No matter how chipper she looks, ALWAYS give her a wide berth before she’s had her fix of morning coffee. Janke is our pocket-sized Speedy Gonzales, who lives by the motto “don’t think, just do” and gets seriously annoyed by slow walkers (especially en route to the coffee machine, first thing in the morning). Having studied Graphic Design for five years at North-West University, Janke specialised in short film, documentaries and short animation – key creative solutions that the Fisher Agency is proud to offer to its clients. Her efficiency and speed-in-real-life also translates beautifully into her work and, although we haven’t seen smoke erupting from her Mac yet, we can only imagine it’s just a matter of time. Janke describes herself as adventurous, creative and enthusiastic – characteristics that leap off every page that she designs, and reflect in her willingness to tackle any creative challenge head on. In an ideal world, Janke would come to work in her PJs every day and live in Austria which, she admits, sounds like a bit of a commute – but one can dream, right?